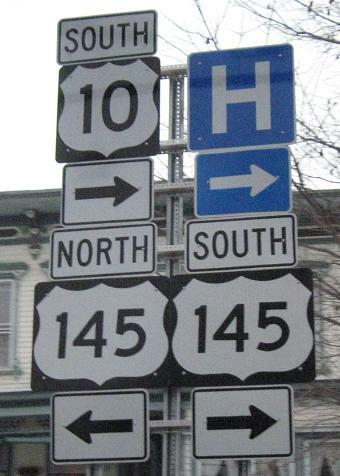 To appreciate some shield errors, take NY 268 to the ugly shields at the end and turn left. 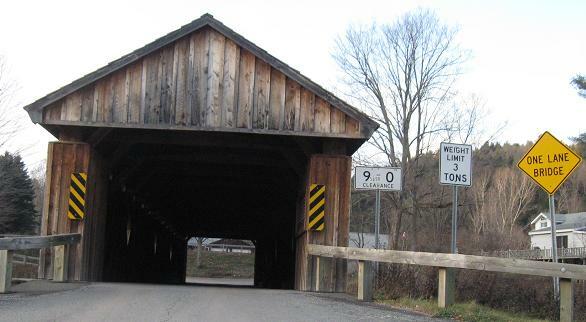 The first covered bridge along NY 10, Hamden, along Basin Clove Rd. 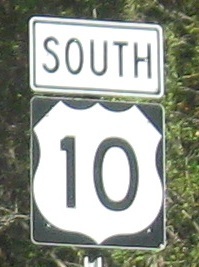 just east of 10. NB leaving Delhi. 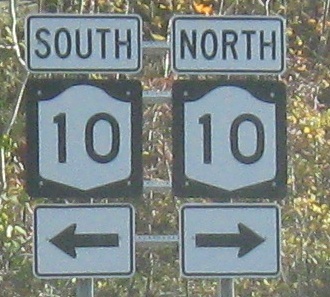 Just like on NY 28, which I just left, Region 9 of NYSDOT leaves a large space between the "1" and "0", much too large just for the little bolt between. 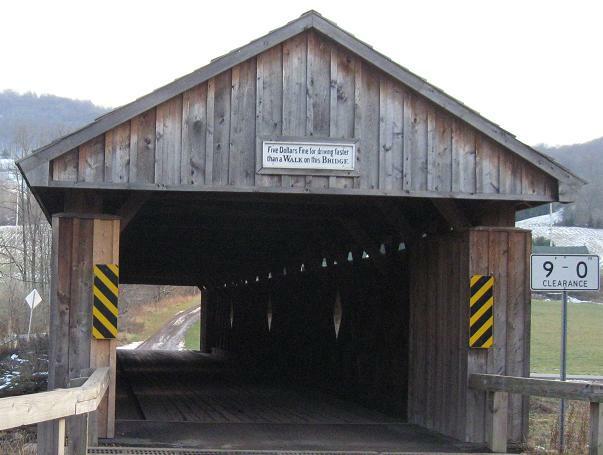 Does every covered bridge have the Five Dollars Fine plaque above it? 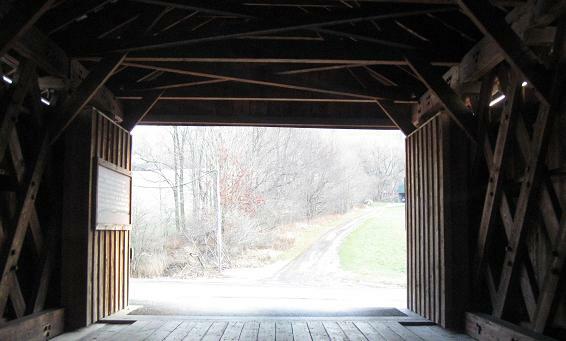 Most don't have windows because there's always a chance the horse might see the water and panic. 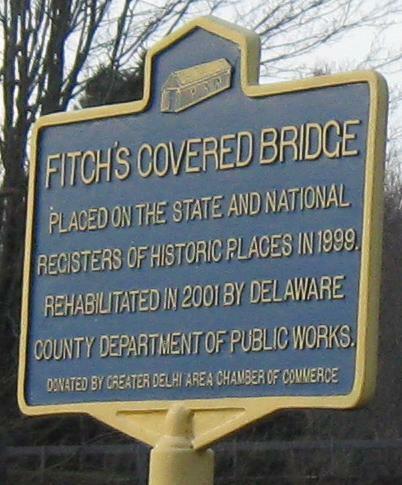 This is Fitch's Covered Bridge, though I bet it had a different name originally. 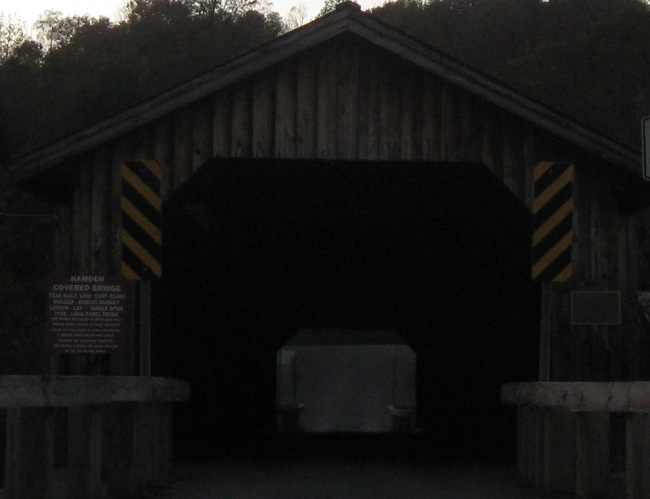 Even the sign is fairly old. 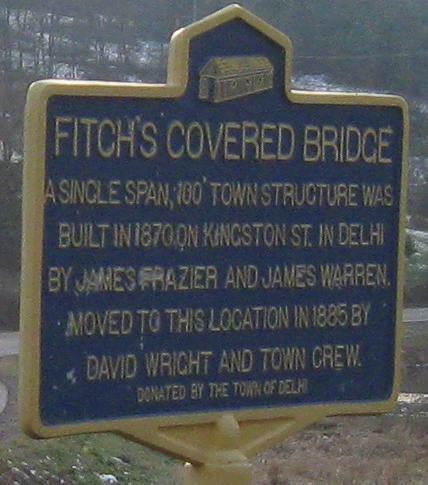 As you see, this location is Fitch's Crossing (in East Delhi), but the bridge started off in downtown Delhi, which is why I postulate it had a different name. 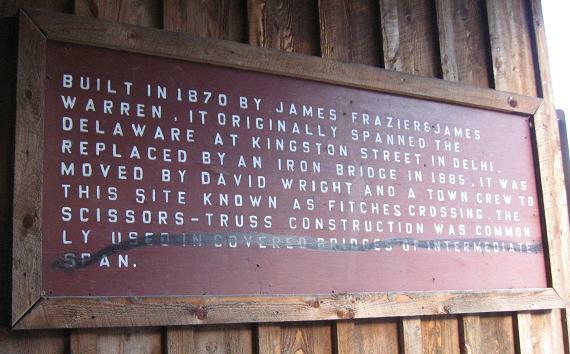 Both sides of the modern historic sign (oxymoron, anyone?) 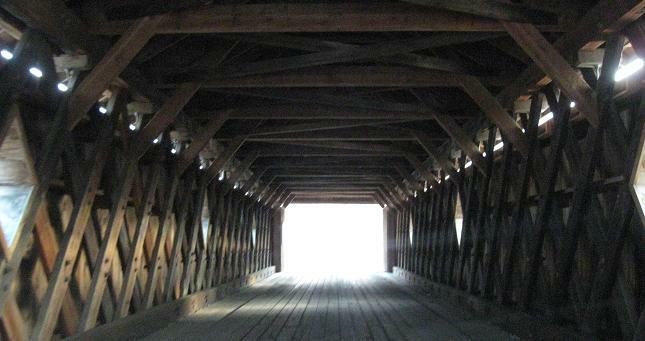 on the south side of the bridge, which spans the West Branch of the Delaware River. 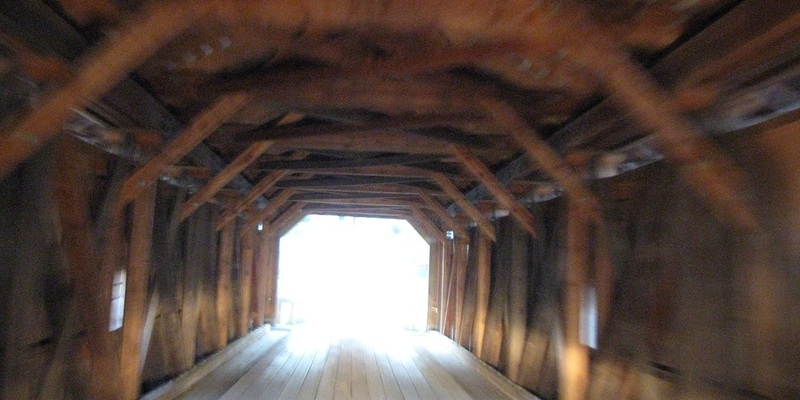 The view from that side. 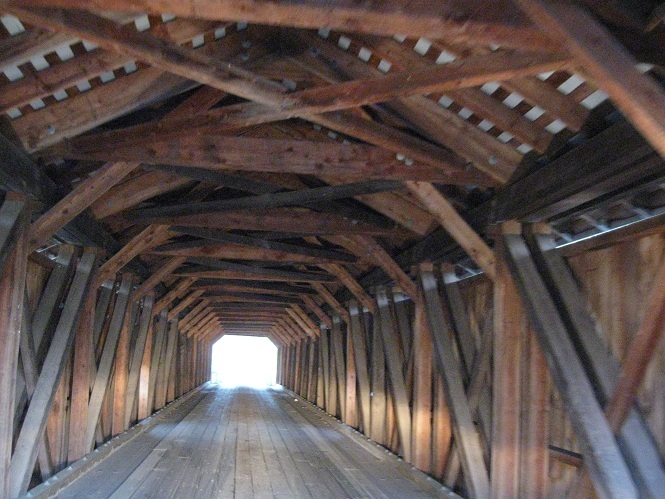 More scenery, NB from there. 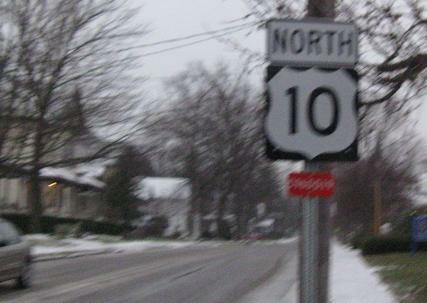 US 10 skips a few counties and shows up yet again in Cobleskill. 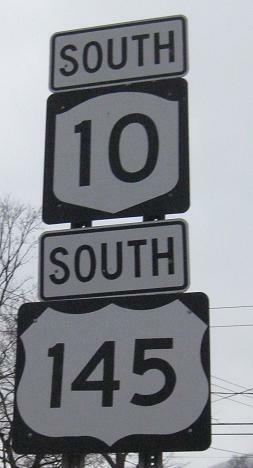 There never was a US 145 in any state, so this is a NY route, of course. Still more at the northern end of the multiplex, SB and NB. 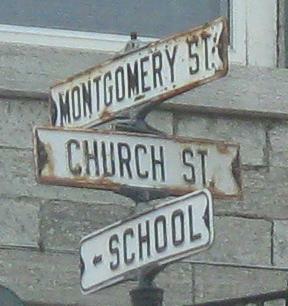 Original traffic signal in Canajoharie, SB at the intersection shown in the second photo. 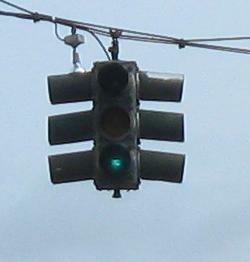 Back in the day, signals were constructed in the centers of intersections, with traffic passing around. 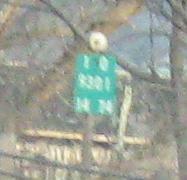 Evidently the street was widened here, though, so the light's now offset, forcing traffic further to the right. 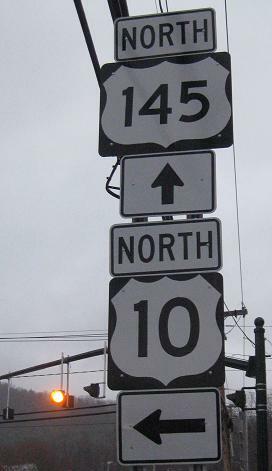 NB at NY 5S in downtown Canajoharie. There's a more interesting angle on the NY 5S page, linked below, but you can at least see the signal hoods that are far too long.